italian design firm adriano studio has showcased ’90° minuto’ and ‘intervallo’ for B.lab italia at the salone del mobile during milan design week 2012. as a contribution to the teckell collection, the tables are available in a miniature 6-figure edition, as well as a full 22-figure version. the popular game gets a luxurious upgrade with a transparent structure on which the forms reflect. 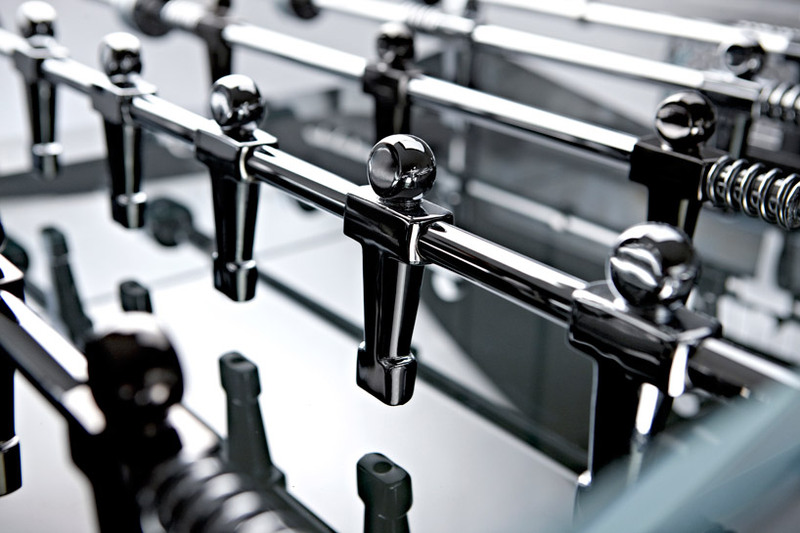 the ‘players’ are available in two-tones of either a reflective metallic finish, or natural wood. for aesthetic continuity, the scoreboard is continued with the same materials.